Imagine your grandmother or grandfather came into your care. Their care needs have increased over the years and it came to the point when they cannot manage daily tasks by themselves. What would you have to do to manage their care? What would you do to make sure they maintain a quality of life? Umbrella Inc.’s mission is to empower seniors so they can fully enjoy their Golden Years. We believe, that language, gender identity, culture or financials should not be a barrier to access quality services. This vision for life-changing quality care is made a reality through the work of our dedicated support workers as they seek to meet the physical, social, emotional and spiritual needs of all who choose Umbrella Inc. Working at Umbrella Inc. offers challenging work, flexible hours, the possibility to combine work with study, lots of variety and most importantly the opportunity to change someone’s life. Working at Umbrella Inc. is more than just a job – it means to belong to a caring and fun multicultural family. If you are interested in any of the paid positions at Umbrella Inc., please submit your resume and the completed Employment form. Please, click on the link below to download the form. Domestic Assistance Support Worker wanted to join our TEAM! We are looking for committed bilingual people to join our Domestic Assistance Program. People without the certificate is also welcome to enquire. There is a wide range of activities that you have to do for the client, depending on their needs. For example: domestic assistance, shopping, transport, cleaning, attending social activities and appointments and more. We are looking for people who speak Italian. Umbrella has more than 15 years’ experience in providing excellent care for the multicultural community. We provide a competitive salary and a supportive working environment. Please note we only consider applicants who have completed the employment form. We are looking for passionate people to help seniors in their community! Be the change! Are you someone who would like to make a difference in your community? Are you passionate about helping elderly? Would like to be a champion for human rights? Seniors from Culturally and Linguistically Diverse (CaLD) backgrounds are at risk of missing out on critical government support. Statistically this group of seniors are least like to access aged care services on time, resulting in unnecessary hospital admission that can lead to deterioration of physical and mental health. The Navigator project’s aim is to address this issue by educating ethnic communities and empowering them to make a difference for their own elderly. Help us to make a difference! The Community Champions model is designed to help Culturally and Linguistically Diverse (CaLD) seniors to learn more about Government supported aged care programs. Community Champions are local people from CaLD clubs and associations who volunteer to promote the aged care system through the Aged Care System Navigator Trial – acting as a bridge between CaLD communities and mainstream services. They support awareness of and access to aged care services and motivate seniors and their families to increase their knowledge about the aged care system and to access services in a timely manner. Umbrella will provide orientation and training (in-house and external, depending on your needs), all materials, work reference and we pay for your police clearances. Contact us today!! The Best Facebook Resolution You Can Make This New Year’s. Did you promise to yourself to have less Facebook or screen time this year? An average adult in Australia spends over 12 hours per fortnight looking at social media sites. That is a lot of time to spend on anything. So we have an answer to that! If you would like to reduce your screen time, use those ours to make a difference! We are seeking reliable, skilled and/or experienced volunteers who are able to assist seniors (60+) become more confident in the use of Smart Phones; Tablets; Internet; Email; Skype; Word Processing and Spread Sheets. Tutoring is on a “one on one” basis at our Internet Cafe Drop In Hub where seniors from all cultural backgrounds can attend to solve IT related issues. Learners bring their own phones, computers and laptops. A couple of laptops are provided at Umbrella. The ability to work in the programs listed above would be necessary. You will be also trained to provide basic information about the Aged Care system. The program will run between Monday to Friday, from 12.30 pm – 2.30 pm at our Umbrella Belmont Office. We only asking our volunteers to try to cover for one of the days at least one a fortnight. People who are bilingual are highly encouraged to apply. We are looking for people who speak: ITALIAN, FRENCH, PORTUGUESE, SERBIAN, POLISH, UKRAINIAN, MALTESE, HINDI, MACEDONIAN, BURMESE, AND MANY OTHER LANGUAGES. There are many elderly people from different ethnic backgrounds who are isolated in the community. You, as a volunteer, can change these people’s life for the better. So, if you have some spare time, and would like to make a new friend, talk to us today about volunteering in the Visiting Angels Program. 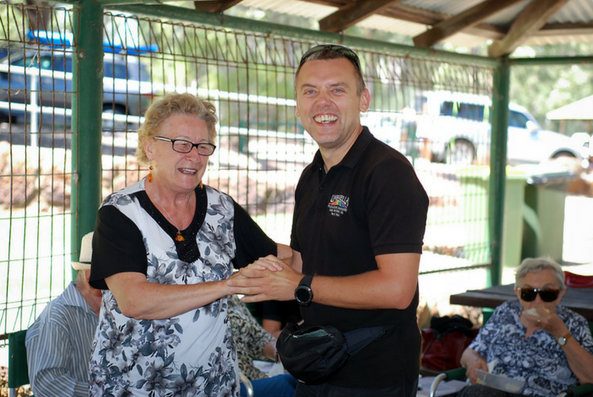 This unique program is about linking volunteers with socially isolated people from culturally and linguistically diverse or gender diverse background who live at home or in aged care facilities throughout the Perth Metropolitan area. We ask that you are able to visit a minimum of 2 hours per fortnight and spend time doing what you both enjoy. Perhaps, you can chat together, share a cup of tea, play a board game, go for a short walk in the garden, listen to music together or help write to their family. Umbrella has a 16 years’ experience in working with volunteers. This program provides you with the opportunity to meet new people, gain working experience, attend new training for free, practice a language or to make a difference in your community. We provide orientation and training (in-house and external, depending on your needs), reimburse your travelling cost and we pay for your police clearances.